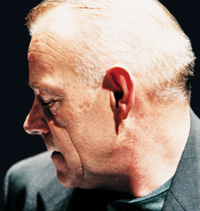 Gerard Mannix Flynn's other work includes: He who laughs wins (1981) which was one of a series of six half hour plays commissioned by Paines Plough Theatre Company, England, and produced by them. Inside , was co-written for RTE in 1986; Hunger and Thirst , written for Red Rex Theatre Company was performed in Italy in 1989. Talking to the Wall was commissioned by the Abbey Theatre in 1990: it was performed by the author at the Edinburgh Festival in 1997, where it won a Scotsman's Fringe First Award. His screenplays include: Twist of Fate , a screenplay based on the Kerry Babies Case, commissioned by Trisquare Films, Pinewood, London in 1998; in 2001 a screenplay, Alma Mater , based on the novel Nothing to Say was developed with the support of An Bord Scannan na hEireann. 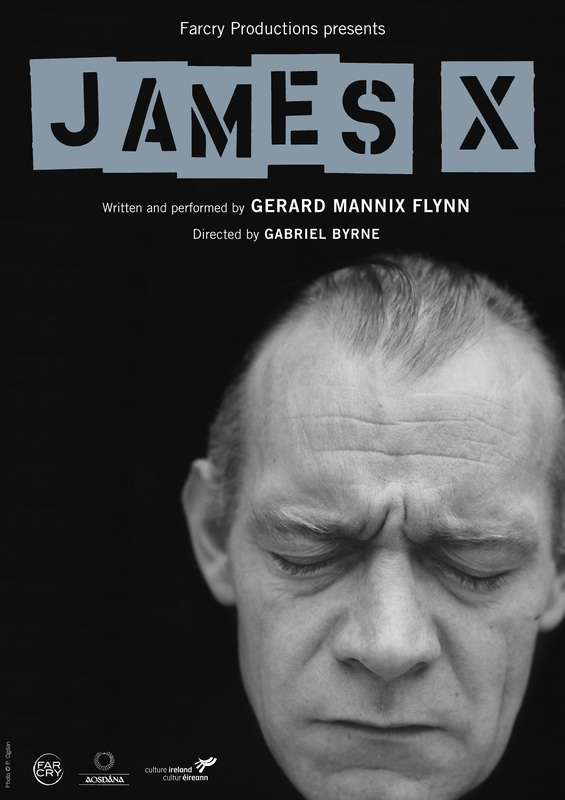 Gerard Mannix Flynn's play, James X brings to conclusion a 10 year work-in-progress which began with Talking to the Wall . It was published in 2003 by Lilliput Press along with a reissue of his first novel Nothing to Say . 'Extallations' were held in 2004 at a Leeson Street site: Call Me By My Name - A Requiem for Remains Unknown 1889-1987 and Victim Impact Report . From 2004-2009 he was board member of the Irish Museum of Modern Art. In 2009 he was elected as and Independent Councillor to Dublin City Council for the South East Inner City Area. He was re-elected in 2014. In 2011 James X the play, was premiered in New York, directed by Gabriel Byrne at The Culture Project which gave rise to a major debate on child protection and rights of the child and received critical acclaim. Between 2006 to present a series of public information arts installations at East Essex Street, Temple Bar, Dublin - Dublin's International Cultural Quarter- which brought the subject of child abuse, institutionalisation, and human rights permanently into the public domain. His play 'The Soldier' which deals with the futility of war will be performed in December 2016. ​See also www.1916onehundred.ie for various installations around Dublin city. He is currently working on a commissioned play which will be complete by January 2017. ​His documentary feature film 'Land Without God' which deals with the experiences of an individual in his struggle against exclusion is due for release September 2018. This work is a culmination of his writings and experience of over 40ty years. He is a member of Aosdana and sits on the board of Dublin City Gallery, The Hugh Lane. Maedhbh Mc Mahon was born and raised in Limerick City. She studied History of Art and Architecture at Reading University before training as a Milliner in London (clients include: U2, Penelope Cruz, Jane Birkin) . She worked for many years in the film industry in London in the costume department on films such as Harry Potter, Star Wars, James Bond, Captain Corelli, Troy, Neverland and many others. She did an MA in Scenography at Central St Martins College London in 2005 doing most of her research in Krakow, Poland in the Tadeusz Kantor Cricoteka. She returned to Ireland in 2006 to work with Farcry Productions. In 2007 she presented a solo exhibition with the Kevin Kavanagh gallery called Amygdala. From 2008-2013 Farcry Productions built and ran a large arts space called Dialogue, in Vyner Street in London's East End gallery district. Here the company began large scale works around the Magdalene women and their children called 'All this in the name of Jesus'. In 2014 a complete version of the the show, FORSAKEN, was installed in Dollard House, on Wellington Quay, Dublin. Maedhbh has also worked as a researcher on various films including 'Philomena' and is currently researching and producing a film with Mannix Flynn and Lotta Petronella called "Land Without God'. She is currently working on a series of large scaled stitched works around the Disbandment of the Artane Band. She works on a voluntary basis with Dublin Civic Trust. Far Cry Productions is a company that devises, develops and delivers art processes. 'Process' holds within it the notion of change or transformation and for this reason it is central to the company's work. We recognise that people come to a piece of art complete with their own values and life experiences. As such, they are not passive receivers but active participants in an act of co-creation, which sometimes strengthens and sometimes challenges their existing feelings and beliefs. Far Cry Productions is committed to making intelligent comment on urgent cultural and political concerns and encouraging the audience to actively engage in this dialogue with us. Far Cry Productions is committed to the creation of work that encourages people to explore, meditate on and question subject matter that, to date, may have been ignored or considered taboo. Far Cry Productions is committed to creating artwork which engages people emotionally, physically, spiritually and politically. The work is designed to encourage the audience to focus, not just on the issues being explored, but also on the way in which their own individual attitudes and feelings colour their perception of the work. Far Cry Productions is committed to the provision of a safe space in which the audience is able to sit with the uncomfortable feelings that this process generates, leading people, we hope, to a greater ownership of their history and their lives, both as individual citizens and as a society.